A ‘30s era sample of Weisser’s photos documenting local lifeguard history. The Laguna Beach Historical Society hosts Kai Weisser Tuesday, Oct. 27, who with the Laguna Beach Lifeguard Association, is documenting the history of Laguna’s lifeguards. The 7:30 p.m. presentation at City Hall, 505 Forest Ave., can be watched live on channel 852 or 30. Weisser is president of the Huntington State Beach Junior Lifeguard Association and has had an extensive career in marine safety. 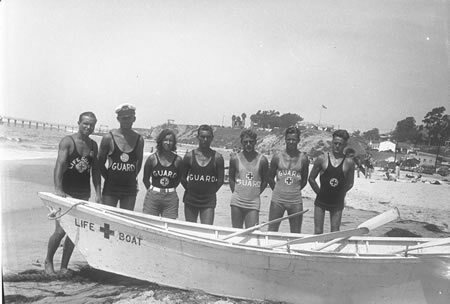 His talk will chronicle the inception of Laguna Beach lifeguards in July 1929 and historic photos. He is at work on a book in collaboration with current Laguna lifeguard Chief Kevin Snow and the Laguna Veteran Lifeguard Association.